Crowhurst Village Hall & Playing Field, Surrey. 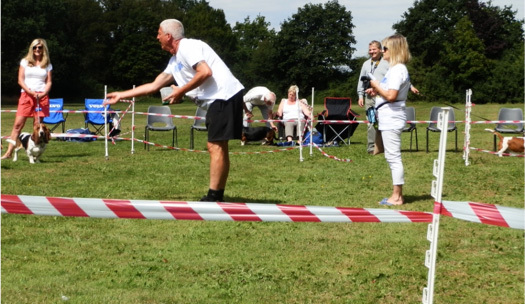 Though the weather was quite good, fewer members attended Fun Day 2016 than usual. But this did little to diminish the lovely atmosphere. Unfortunately, our Guest Judge had let us know that he was no longer able to attend due to work commitments, so the Committee had asked me to stand in for him. 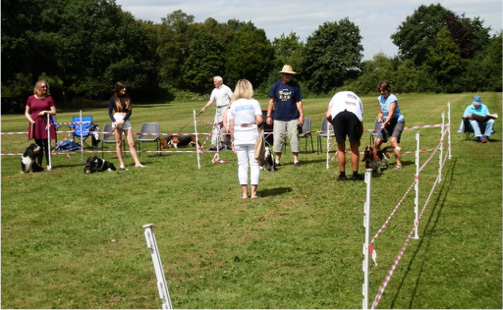 In the past, I attended a Basset Hound judging course held by the Welsh breed club, and had done some judging at ring-craft clubs, so I was happy to help out. In Jean’s absence, Sue and Chris proved to be excellent joint stewards. Though first they hosted the pre-lunch races and games. 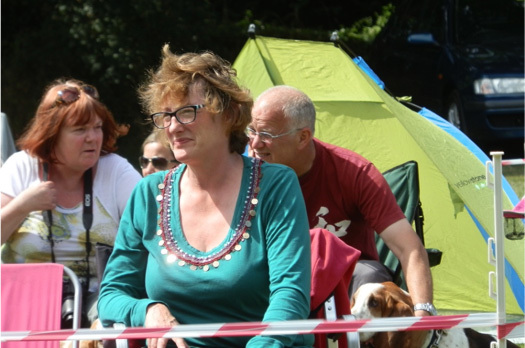 Chris had devised some unusual and enjoyable events, all of which were hard fought by enthusiastic, energetic, hounds and owners. 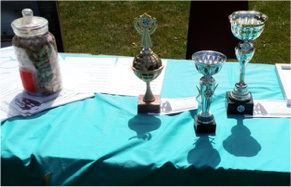 Treats were awarded to winners. One of the real highlights of any Fun Day is the delicious buffet luncheon laid on by the committee. Everyone seemed to really enjoy this year’s offerings. After a leisurely meal the fun classes began to be judged. I was delighted with the entries to these classes. 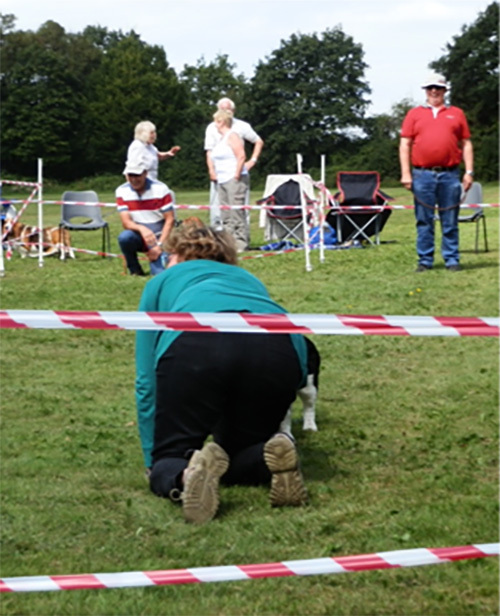 I would imagine that few of the hounds and their handlers had ever taken part in more formal dog shows, but their enthusiasm to present their pets more than compensated for any lack of showing technique. It was a privilege and delight to ‘go over’ them (as we judges say). The Rescue Hound class was particularly touching. The stories of re-homing were a credit to all those involved. Some hounds who had experienced poor, and sometimes very cruel, starts to their lives had found safety and love with their current owners. I congratulate all those concerned in this wonderful act of kindness. The Fancy Dress class was also great fun. I apologise for a lack of photos and details, but I was otherwise occupied. Finally, I would like to thank Sue and Chris for their help in stewarding the various classes, dressed in their special T-shirts, they looked and acted the part perfectly. Together, we made this Crufts meets Laurel & Hardy. Thanks guys, it was great fun!